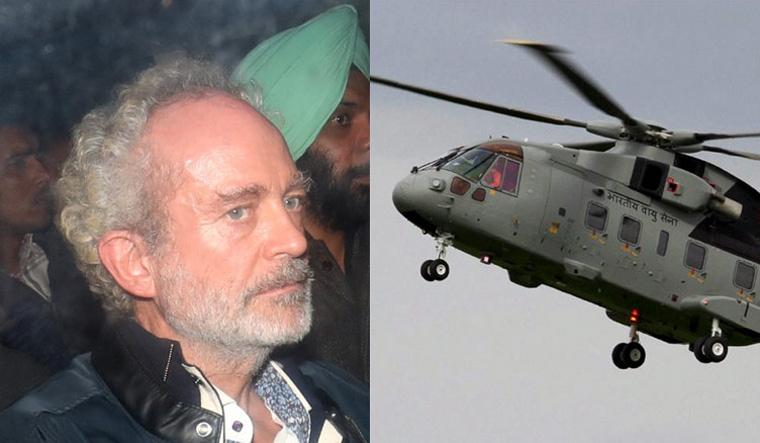 The BJP has claimed that it was in possession of a letter allegedly written by middleman Christian Michel in the AgustaWestland VVIP chopper deal, which reveals the “saga of Rome and RaGa”. BJP spokesperson Sambit Patra in a press conference on Saturday read out the “letter” from Michel to AgustaWestland in which he wrote that “all the hurdles in the way of the deal have been dealt with”. “Christian Michel had written thousands of letters in the form of dispatches that were sent despite he living in India. When he was in India as a dalal and middleman, he used to write letters to AgustaWestland's CEO. “Our agencies have managed to procure some of these letters. We have accessed one such letter through the media. The letter will reveal the story behind the saga of Rome and RaGa,” he said. Patra said Michel stressed that no publicity about the deal be done in Italy. “Can Rome be asked to cooperate? By any cost, by any cost, pressure must be built on Rome's government to not create any publicity in Italy with regard to this. Not many people in Italy should be aware of this deal. Hurdles in the way of clearing the files have been removed,” the BJP spokesperson quoted Michel saying in the letter, dated July 31, 2009. Patra wondered why Michel did not want to publicise the deal in Italy after it was finalised. “So that the bribe givers are not harassed in Italy,' he reasoned. Patra alleged that Michel had even access to cabinet meetings. “Cabinet meetings on security are closed door meetings and this man knew exactly what was going on in there,” he alleged. He also alleged that in the letter Michel had written that a Congress leader would talk to the then finance minister if he created any further issues with the clearance of the deal.